David & Ruth selected from Schuller’s X2 handless range with a mixture of the Uni Matt Crystal White door and the Targa Dark Steel door. 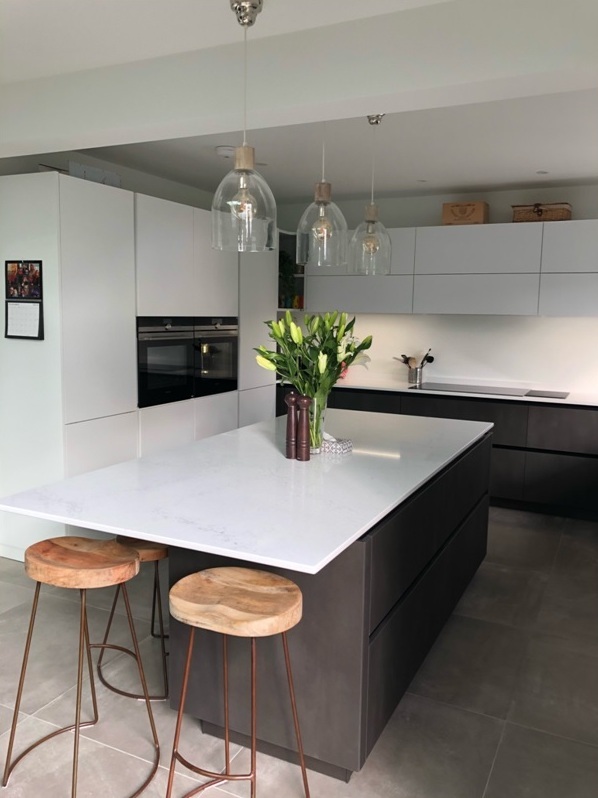 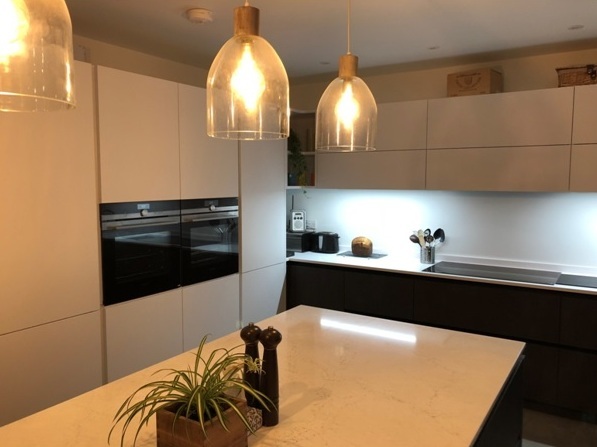 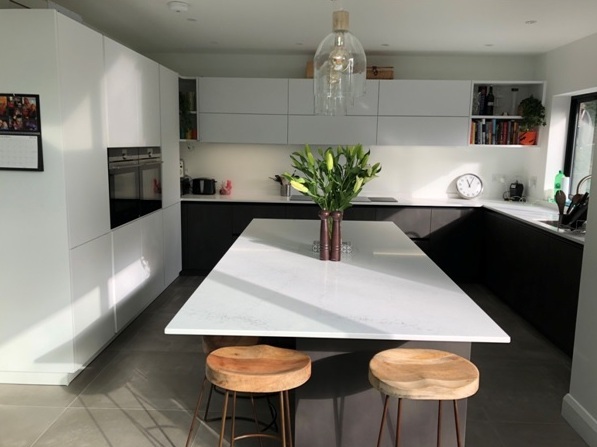 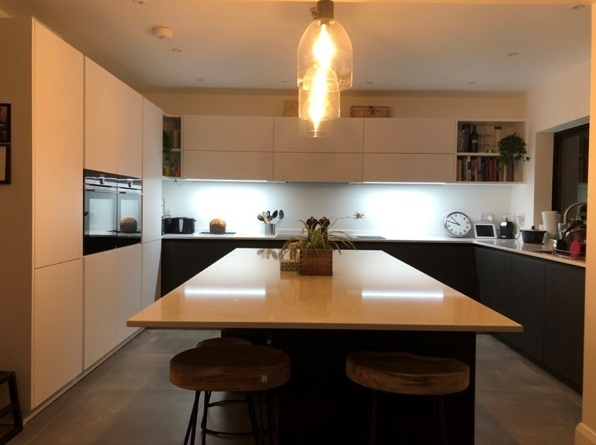 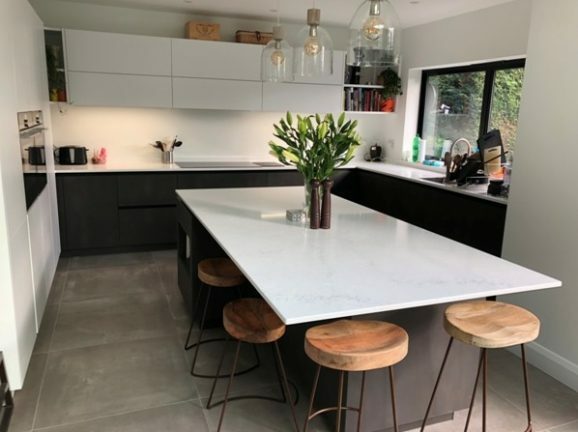 The worksurfaces are a combination of Glacier white Corian and Statutario Silestone Quartz. 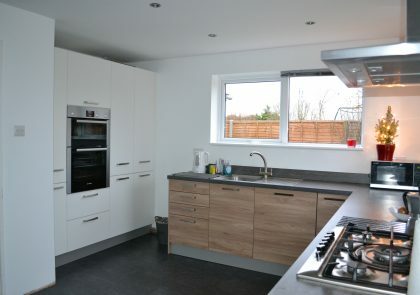 This was accompanied by mix of Siemens appliances and AirUno Aida in cupboard extractor. 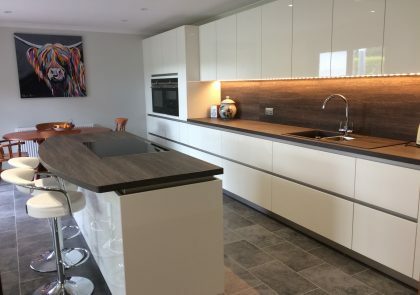 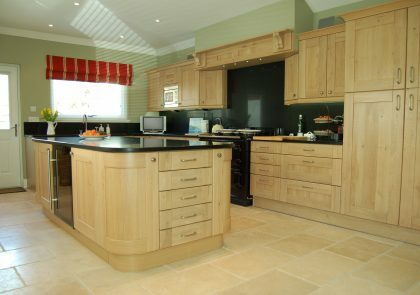 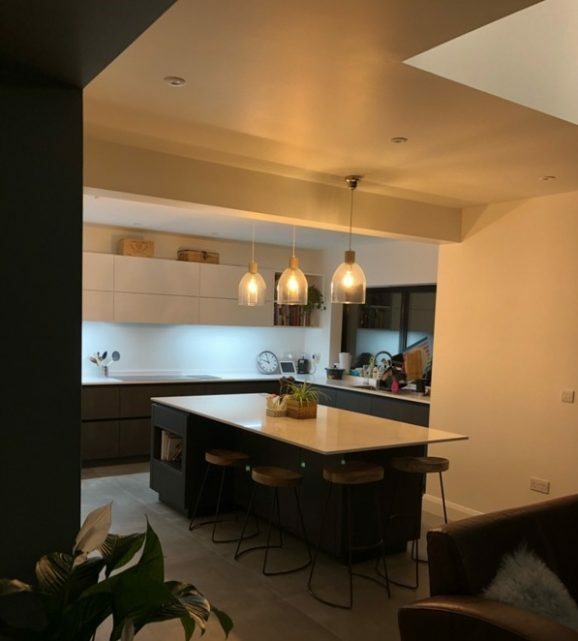 A sink and tap From The Michelle Roux Jnr collection was chosen to compliment this lovely kitchen.